Game of Thrones is rocketing towards its grand finale, with season 8 - and the show's final episodes - just months away. 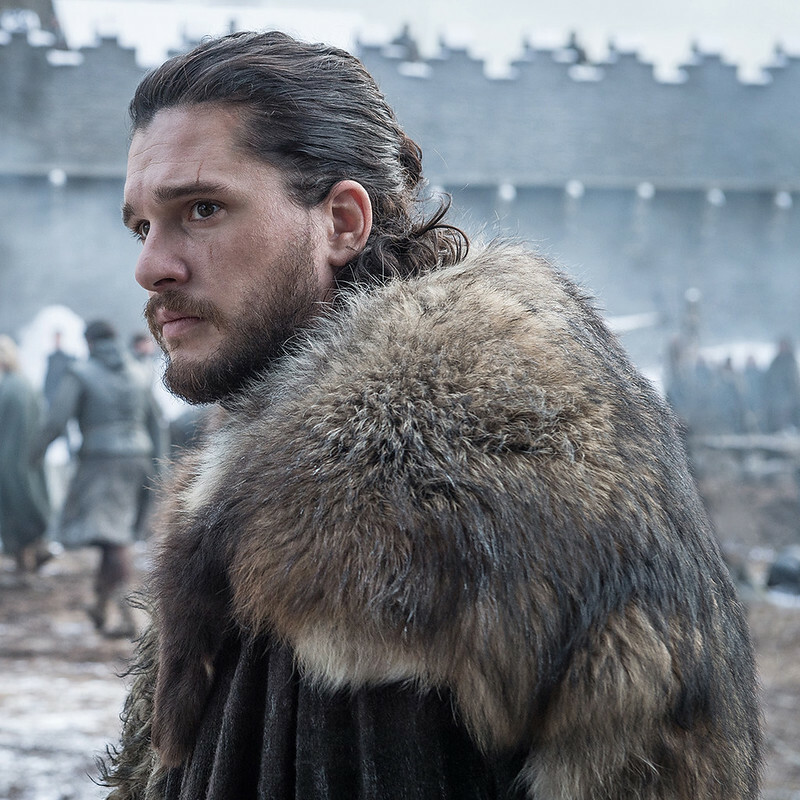 Here's what you need to know about when Game of Thrones is back, along with what to expect from the final season, and how to catch up on seasons 1-7. When is Game of Thrones next on? Season 8 finally arrived on US screens on 14 April 2019. Remember that in the UK, the time difference means that each episode airs on Mondays at 2am, though will be broadcast later that day at 9pm on Sky Atlantic for UK viewers who don't want to stay up late. Streaming services Sky Go and Now TV get each episode from 2am though, so no need to wait until 9pm if you're feeling impatient. The other thing we know is that the season will comprise just six episodes. Some of these episodes will be longer than normal though, which should soften the blow a little - the final two episodes will be a whopping 80 minutes each. Game of Thrones is shown exclusively on Sky Atlantic in the UK, so if you're a Sky customer with the right package then simply tune in via your Sky Box. If you want to watch online with an internet connection then you can do so with Sky Go or other methods. If you have a Sky subscription, then it's easy. Game of Thrones is every Monday on Sky Atlantic. Sky Go is available through web browsers and via a smartphone and tablet app. If you're not a Sky customer then don't worry as there is still an easy way to watch Game of Thrones online. Sky Atlantic (and various other channels) is available through Sky Now TV as part of the Entertainment package which currently costs £7.99 per month. Each episode is available on Now TV from 2am every Monday - the moment it begins airing live in the US. There's a 7-day free trial, and right now the Entertainment pass is on offer - you can grab three months for £17.99, which should cover all of season 8 and then some. This is also the easiest way to watch old episodes of the show - right now Now TV has the entirety of seasons 1-7 available on the service, giving you a month and a half to binge your way through the whole thing in preparation for the final season. Like Sky Go, Now TV is available on a wide range of devices including Chromecast, Roku, YouView, Xbox One, PS4, PC, Mac, Android and iOS. Sky also has the Now TV Box and the newer Now TV Streaming Smart Stick which you can buy for just £14.99. Since Game of Thrones is an HBO TV show you can also use the broadcaster's streaming service, HBO Now, to watch Game of Thrones. However, it's only available in the US so you'll need to use a VPN such as NordVPN or ExpressVPN in order to gain access. Check out our full guide to watching HBO from the UK for more info. HBO has unveiled a load of photos from the final season. Predictably, they don't reveal much though: mostly that people will be doing a lot of brooding in big fur coats, which we probably could have guessed anyway really. We know next to nothing about season 8 really, as the production has gone to unprecedented lengths to avoid leaks and spoilers, even locking the scripts down behind multiple layers of password security. "Season 8 opens at Winterfell with an episode that contains plenty of callbacks to the show’s pilot. Instead of King Robert’s procession arriving, it’s Daenerys and her army. What follows is a thrilling and tense intermingling of characters — some of whom have never previously met, many who have messy histories — as they all prepare to face the inevitable invasion of the Army of the Dead." We also got a tease of at least one of the interpersonal conflicts that's going to come out of all this - though it's not exactly a surprise. Apparently "Sansa isn’t thrilled that Jon bent the knee to his fancy new Targaryen girlfriend, at least not at first." So what else do we know? Well, the penultimate episode will be one giant battle - one which "makes the Battle of the Bastards look like a theme park," according to Peter Dinklage. That battle required 55 night shoots for the exterior shots - followed by weeks more shooting in the studio, all helmed by 'Battle of the Bastards' director Miguel Sapochnik. "What’s being filmed here is episode 6, the series finale... I look around at a meticulously constructed set that I’ve never seen on the show before. Several actors are performing, and I’m stunned: There are characters in the finale that I did not expect."